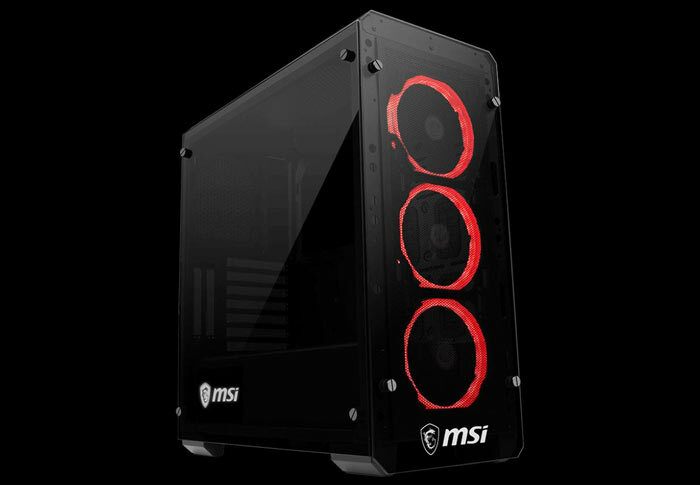 MSI is very well known in enthusiast circles for PC desktops, laptops, barebones, components and peripherals. However, if you browsed the company home page you wouldn’t have found any PC chassis for sale until this weekend. Now you can see that the firm has published product pages for the new MAG Pylon and MAG Bunker PC chassis in its Gaming Gear section. These two chassis are very similar, so I will describe the MAG Pylon first, before explaining what has been chopped to create the cheaper MAG Bunker. The MSI MAG Pylon is no shrinking violet. Here we have a 45 litre mid-tower chassis with 4mm tempered glass to three sides; left, right and front. 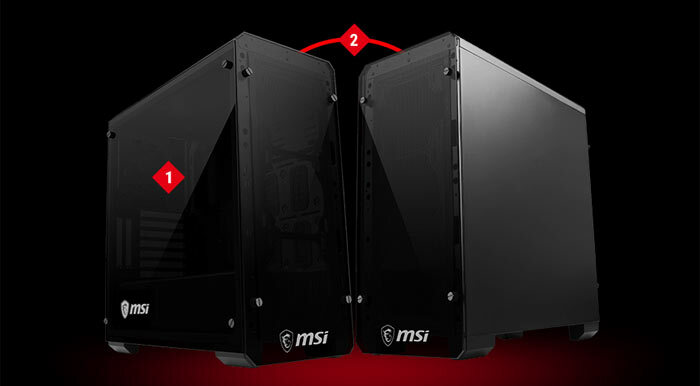 MSI makes sure the MAG Pylon is noticed by including/equipping three 120mm RGB LED fans. Of course these are supported by MSI’s own Mystic Light synchronisation software. This means that the lighting colours and patterns can sync with other MSI products without fuss. 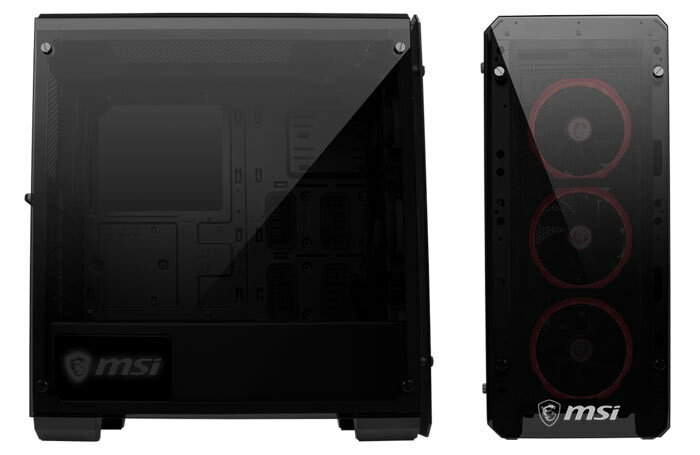 The tempered glass side panels mean that other components with RGB frills can easily be shown off too. For those that are interested in maximising the RGB light show, you can mount your graphics card vertically so the LED fans are prominent rather than the top bar. Other than the glass the chassis construction relies on 0.6mm SPCC. You wouldn’t want a PC chassis like this to accumulate any amount of unsightly dust so MSI has thoughtfully fitted magnetic dust filters to help eliminate this visual and potential cooling issue. Inside the chassis MSI has plenty of grommet fitted routing holes for cable management and there is room for up to six system fans for “great airflow”. Weight: 8.4 Kg / 18.5 lbs. So, what is the story with the MSI MAG Bunker? In essence it is the same chassis. However, the following cuts have been made to the spec; tempered glass is only to two sides – the right hand side panel is just black SPCC steel, and the trio of Mystic Light fans have been taken out of the equation. At the time of writing we have yet to receive any indication concerning the MSI MAG Pylon / MAG Bunker PC chassis pricing and availability. Tempered glass fronts? That'll be nice to show off the dust movement or collection by the fans…. How do the front fans breathe?